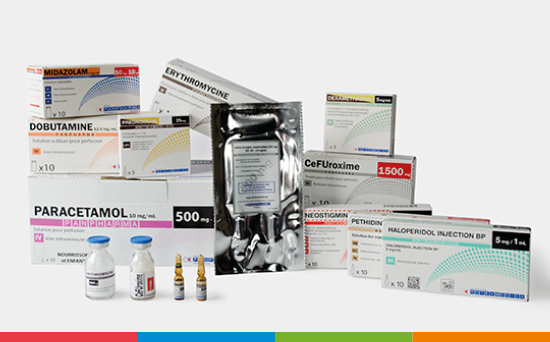 Panpharma, a specialist in the injectable medicines sector since 1983. The Panpharma Group is recognised for its expertise in the development, production and marketing of injectable medicines for use in healthcare establishments. Since its creation, Panpharma has intentionally specialised in the field of injectable medicines to become one of its leaders. Its wide range of specialities covers the main therapeutic classes, with a particular focus on antibiotic therapy. Panpharma products are manufactured in accordance with the most demanding quality standards, generally at the Group production sites in France and Germany. Established in France, in 1983, the Panpharma Group has become one of the French market leaders while simultaneously undergoing rapid development on an international level. Today, the Group carries out more than 70% of its activity outside France in more than 100 countries over 5 continents, thanks to its European subsidiaries and a global network of distributors and recognised experts in their markets. A family-run, independent company, Panpharma has adopted a long-term strategy in both industrial investment and innovation and in the social and environmental fields. The clarity and consistency of its strategic choices have enabled it, year after year, to strengthen its economic performance and to maintain a climate of confidence with healthcare agencies, its suppliers and its clients.